I have had a rash of mixte landing in my inbox the past few months, so I think it will be nice to feature a few this week. First up is Harry B’s 1977 Peugeot A018. 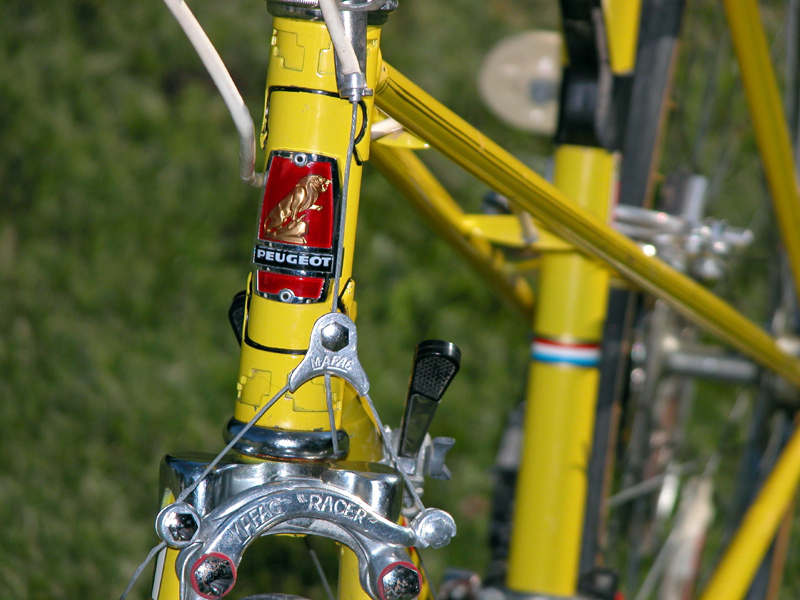 Peugeot make, IMHO, the quintessential mixte. 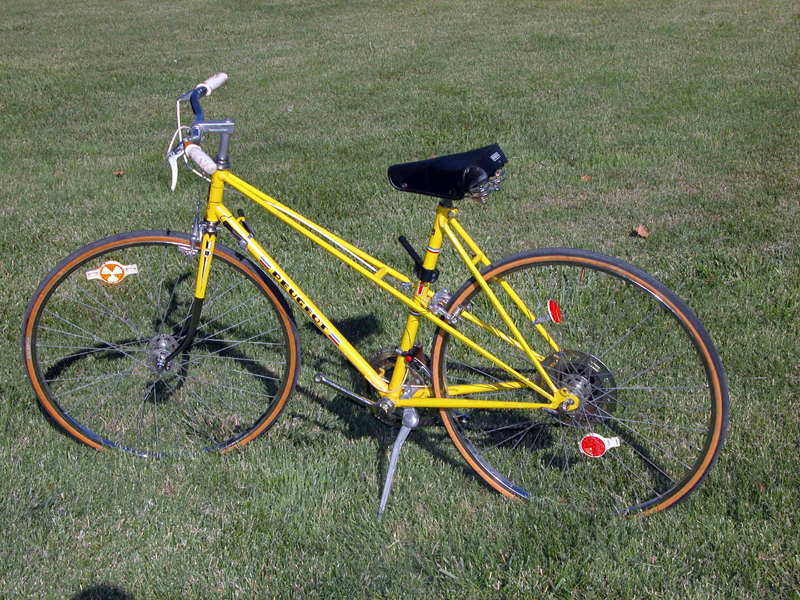 Here is another very nice bike that hit the market around 1977, My Peugeot Mixte A018. 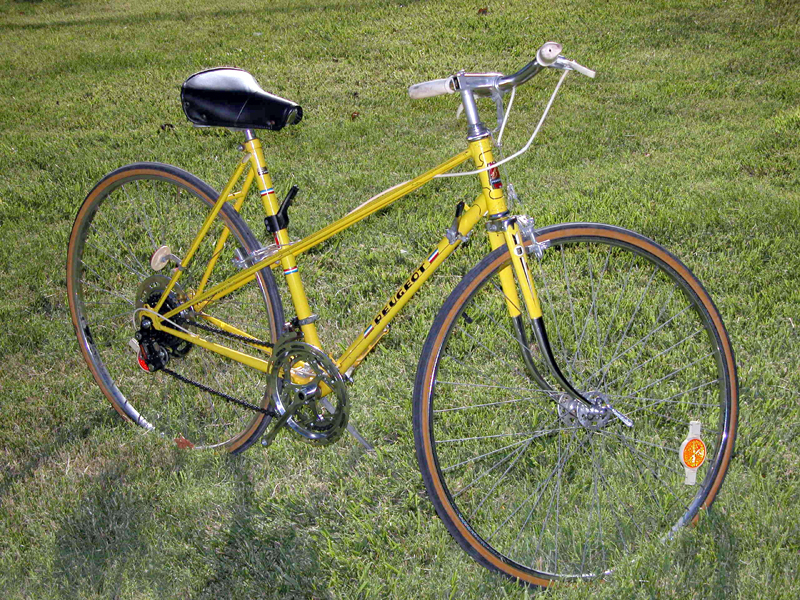 This bike, like any mixte, is a big hauler that rides the tough roads but gives you a smooth ride. 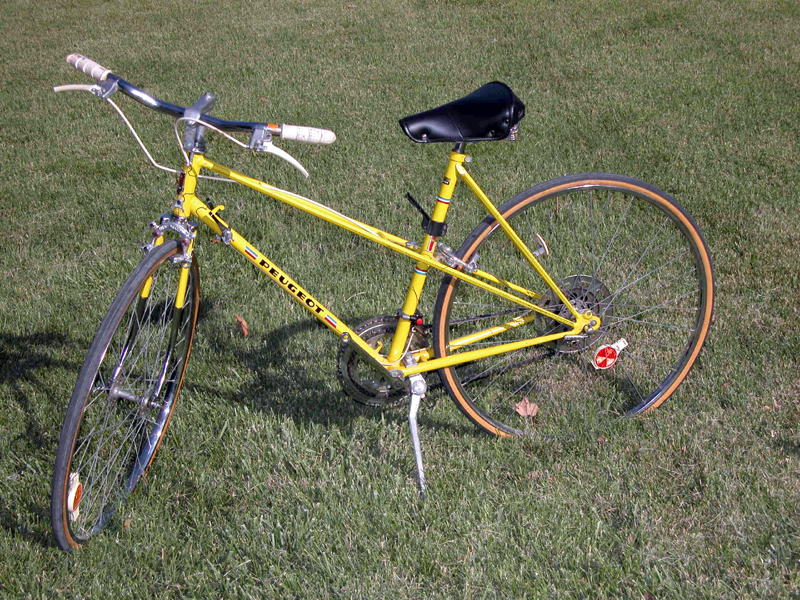 It is a very comfortable bike that can carry you many miles without you taking a back rest. Another very noticeable action of this bike is that in going downhill, it moves with extra speed with little to no help from the rider. 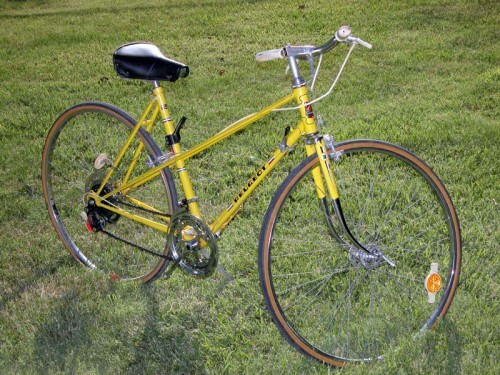 It is a true solid built bike that was made to last. I purchased this bike used in pretty bad condition but after about 5 days of some hard cleaning it turned out looking pretty good. 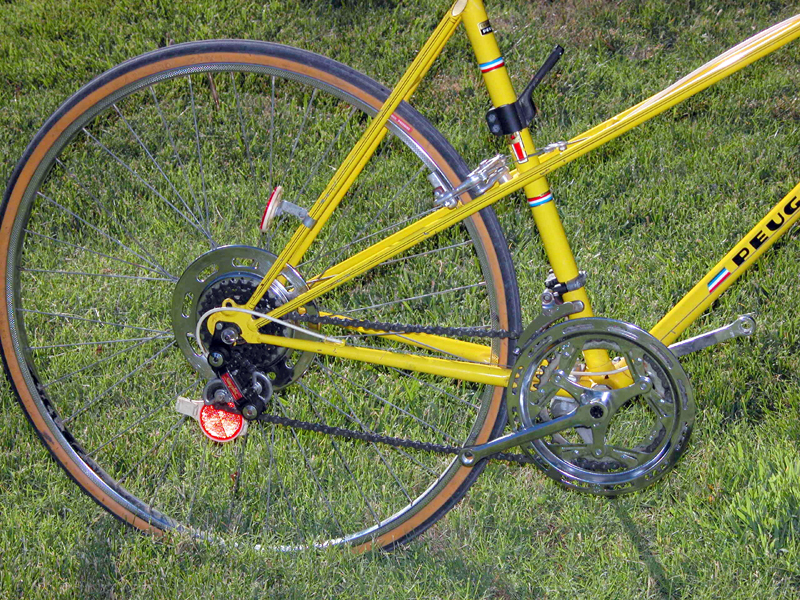 Twin top tube mixtes are the only way to go! Great bike. That is one fine looking Peugeot. You have done a great job keeping it looking beautiful and functional. I love the color and the chrome fork tips. With pedals like that, I guess it would be difficult to get ANY help from the rider going downhill even if you wanted it! Good job on a another rescue! Thanks for the compliment on the bike. That black arm is the water bottle mount. Some new thing the cycling creators came up with and my friend just had to have it. :-) She is not the best of a rider so I had to put the bottle where it is most easiest for her to reach.